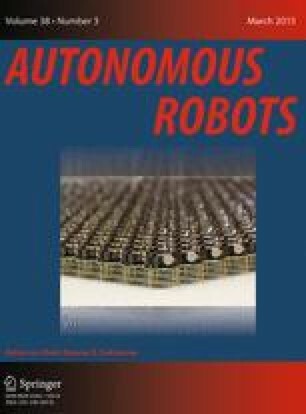 We study the problem of feature-based map merging in robot networks. Along its operation, each robot observes the environment and builds and maintains a local map. Simultaneously, each robot communicates and computes the global map of the environment. The communication between the robots is range-limited. Our contributions are the proposal and careful study of the properties of an algorithm that considers separately robot poses and features positions, and that reaches consensus on the latest global map using the map increments between the previous and the current time steps. We give proofs of unbiasedness and consistency of this global map for all the robots, at each iteration. Our algorithm is fully distributed and does not rely on any particular communication topology. Under mild connectivity conditions on the communication graph, our merging algorithm asymptotically converges to the global map. The proposed approach has been experimentally validated using real RGB-D images. This work was supported by Grants from the French program investissement d’avenir managed by the National Research Agency (ANR), the European Commission (Auvergne FEDER funds) and the Région Auvergne in the framework of the LabEx IMobS3 (ANR-10-LABX-16-01) and by projects from the Spanish Government DPI2009-08126, and DPI2012-32100.